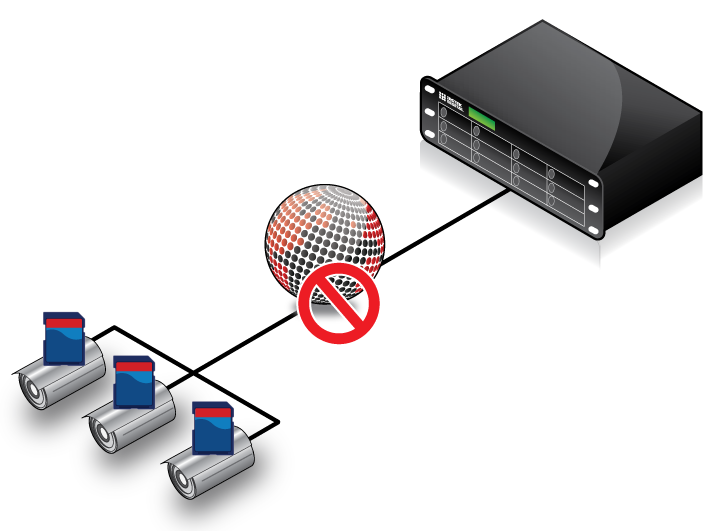 In traditional video surveillance environment - users tend to store video-data centralized using a recording server. However the downsides are system overload or network failure. To prevent video recording loss - Edge Recording is the solution. Edge Recording stores video-data in the onboard storage of the camera. Recording continuous even when the network is down or the video recorder fails. The disadvantage of Edge Recording is having incomplete video surveillance data. Since the centralized recording server - misses the video that is recorded by the camera. Instek Digital Video Reclaim technology automatically retrives the recorded video-data from the camera and place it backcompleting the entire length of video-data. At this moment Instek Digital supports three camera brands for Video Reclaim - these are Vivotek, Dynacolor and Brickcom. Vivotek supports stream-based reclaim and Dynacolor and Brickcom both support file-based reclaim. Vivotek also supports two different kind of events; storage fail and storage capacity. The first event is triggered in case the SD-card is not correctly connected to the IP-camera or SC IO-write error occurs on performing edge-recording. The second event is triggered if the SD-card on the IP-camera reaches over 90% storage capacity. Both events can be linked to an alarm and receive an alert e-mail. Instek Digital Video Reclaim is the best of traditional centralized video recording and Edge Recording. Edge Recording will take place if either the network or NVR fails. In both cases - the IP-camera will automatically take over recording and store the video-data on the onboard SD-card. In this case video-loss will be prevented. As soon the network or NVR is restored - the video-data on the SD-card will automatically be reclaimed by the NVR. In any case the network gets disconnected or the NVR fails - the IP-camera will automatically detect this. The IP-camera will then immediately take over recording from the NVR. As soon as the network or NVR is restored - the NVR will automatically without human intervention - reclaim the missing video-data from the IP-camera. 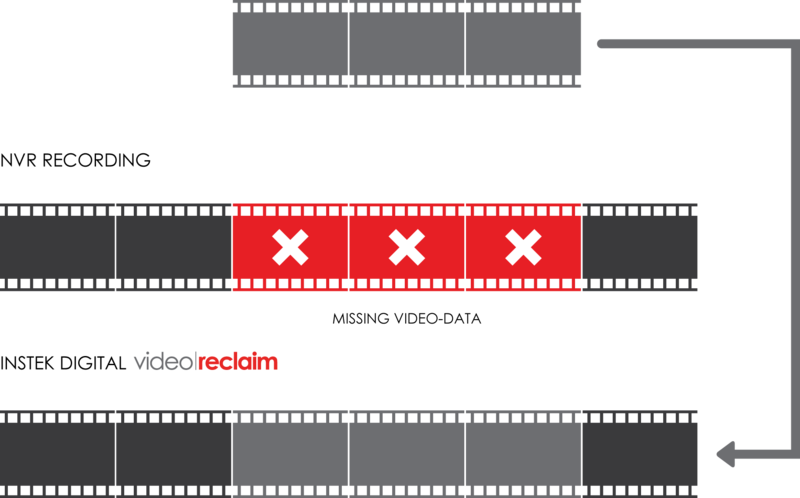 The reclaimed video-data will be stored in the gap that was caused due to the network / NVR failure. This results in seamless video-data without any valueable loss.